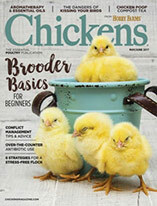 If you have surplus chickens you can't or don't want to keep, consider one of these methods for finding new homes for the birds. Amber planned to move. Grace had too many roosters. Kaye wanted to bring in younger hens. Bill wanted to trim his flock down for the winter months. All four of these people had different motivations for their actions, but the results were the same. They wanted to sell their surplus chickens and were unsure about what to do. For every poultry keeper there will eventually come a time when you’ll need to sell your surplus chickens for one reason or another. While this might seem like a simple task, in reality it’s a bit complicated. Unlike a yard sale, we can’t just put a sign at the curb announcing “Chicken for Sale.” For one thing, passersby might misunderstand and think you’re selling something barbecue ready. Your town’s chicken ordinance might not allow the overt sale of live poultry. Your town’s ordinances might not even allow roadside signs. Fortunately, there are other ways you can sell your surplus chickens. Create a Facebook page, a Twitter feed or an Instagram account for your hobby farm if you haven’t already done so. Ask your friends, family and customers to follow (or “like”) your account and spread the word. 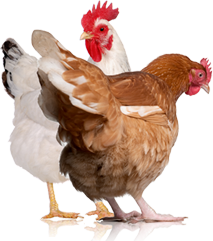 Post photos of the chickens for sale and list details such as breed, color, gender, age, temperament and vaccination history (if any). Have people contact you via private message if they are interested in buying your birds. 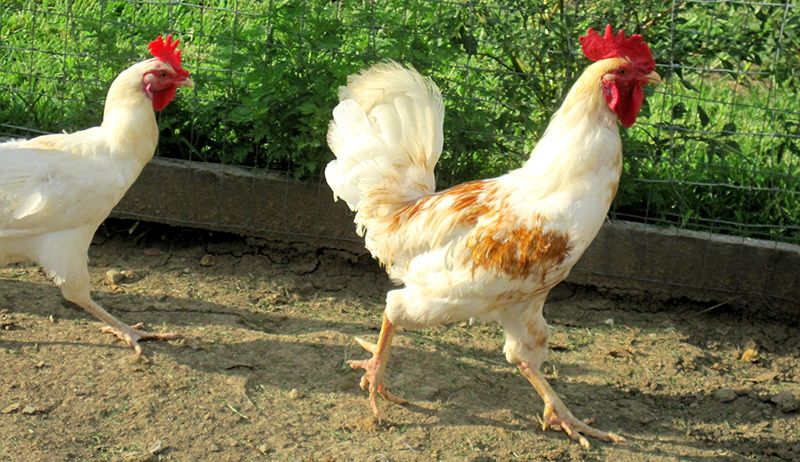 Selling surplus chickens to those with whom you have an existing relationship is an excellent way to ensure your birds will go to a good home. Visit the Craigslist homepage to look up your geographic area’s specific Craigslist page. Once you find it, click Post, then select For Sale By Owner. This will bring up a list of categories. Select Farm & Garden – By Owner (legal sales of agricultural livestock OK). You’ll bring up a posting page. Select an eye-catching title. “Gorgeous Black Orpington Rooster Needs New Home” will draw more attention than “Rooster for Sale.” In your description, as you would in a social media posting, clearly state your bird’s breed, color, gender, age, temperament and vaccination history (if any). Explain why you are selling the bird; personal details pique curiosity and compassion. Be as descriptive as possible and include details about the bird’s bloodline and show awards, if these exist. Post photos that show your bird up close and at full length. You can choose to have interested parties contact you via text and telephone. To maintain privacy, you can also choose to hide your personal email and have Craigslist generate a contact email address for you. Call your county extension office to request the contact information for the local 4-H. Many 4-H groups have private, members-only online bulletin boards where items such as rabbit cages, horse blankets and other livestock equipment—and animals—are posted as available. Ask the 4-H program coordinator whether your surplus chickens can be listed, then provide photos, details and your contact information. One important thing to know: You will need to donate, not sell, your animals, as they will be going to children who will raise them as 4-H projects. Our 2-year-old White Polish hen, Millie, needs a new home. She’s healthy and very friendly, and she lays four eggs per week. Millie has won 4-H ribbons but must now make way for new hens. Vaccinated against Marek’s. Hatched and raised fully on our property. Be sure to state your asking price clearly and include your phone number or email address so that interested buyers can contact you. Create little tear-offs at the bottom of your flyer featuring your contact information and a brief description such as Polish Hen for Sale. This way, anyone who comes across the tear-off in their pocket knows what the phone number or email address is for. Take your flyers to your local farm-supply and feed stores and ask for permission to place one on the store’s community board. If other methods fail and you absolutely must get rid of your surplus chickens, livestock auction houses will sell them for you. An internet search will list the livestock auction houses located closest to you. 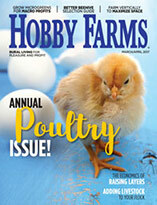 Contact them to see whether they accept poultry and what you’ll need to provide for them to house your birds until auction day (feed, bedding, and so on). You might inquire about what happens to unsold animals once auction day is done. Understand that by using an auction house, you cede control over who buys your chickens and for what purpose. You also might not get the price you hope to receive, but you will have achieved your goal of selling your surplus chickens.